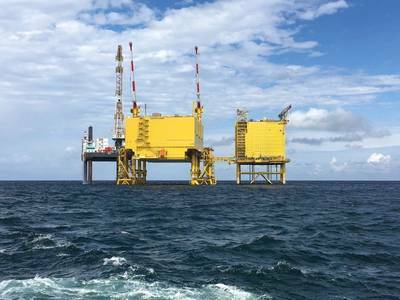 Following an EU tender, a consortium of SeaRenergy and N-Sea has been awarded a project by TenneT covering modification works to the jacket structure of the HVDC platform Dolwin alpha, in the German Exclusive Economic Zone of the North Sea. The project will see Hamburg-based lead partner SeaRenergy provide engineering and design services as well as the fabrication of Clamps to be installed on each of the six jacket legs to increase the overall lifetime of the HVDC transmission system. Following SeaRenergy’s trial of mockup test structures, N-Sea will provide subsea installation services using a Dive Support Vessel (DSV) with dive team and workclass ROV.